A single engine plane is recovered from the bottom of a bay off the Hudson River in Haverstraw, NY. 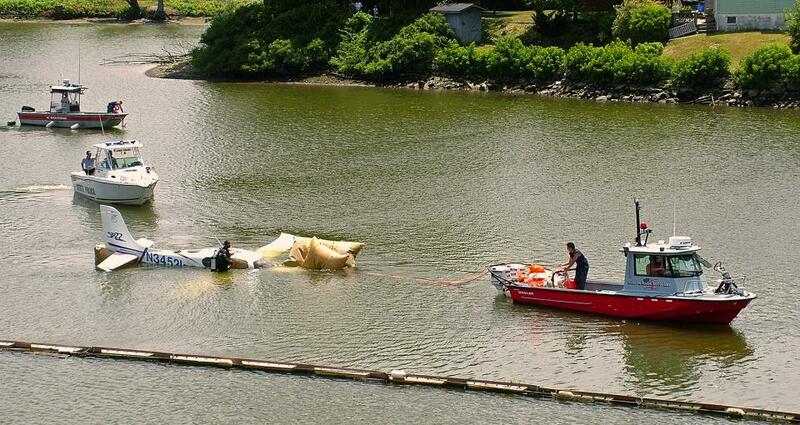 The aircraft is brought to the surface after recovery team divers attached inflatable air bags to the sunken plane. Once surfaced the aircraft was towed to a shore location where a portable crane removed it from the water. The pilot only received minor injuries in this incident.